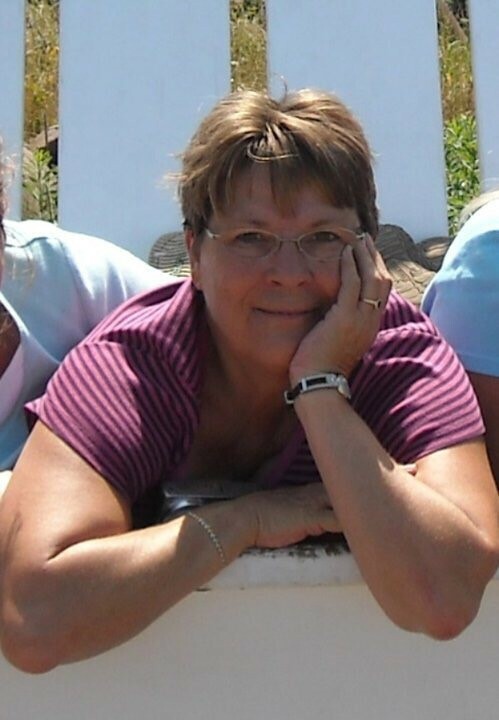 Carol Loraine Peterson, age 71, of Buffalo passed away on Thursday, February 7, 2019 at The Buffalo Hospital. She was born on June 19, 1947 in Clark, South Dakota the daughter of Lawrence & Veronica (Nolan) Dunlavy. She was the fifth from the oldest of thirteen children. As a young girl, Carol attended school at Mallard Slough # 37, a one room school house, grades first through seventh. She attended Conde High School for a year and a half and graduated from Clark High School in May of 1965. On December 19, 1966, Carol L. Dunlavy and David C. Peterson were joined in holy marriage at Zion Lutheran Church in Buffalo by Reverend Cornell. God blessed their marriage with three children. Her family and friends were her dearest treasure! She was retired from many years in accounting at various companies in the Twin Cities. She enjoyed and kept busy at flower gardens, housekeeping projects and quilting. Survived by her loving children: Tami (Terry) Johnson, Steven D. (Gail) Peterson and Amy Peterson; grandchildren: Ashley Johnson, Lucas Johnson, Stephanie (Mike) Gerard, Nicholas (Shanda) Marek and Anthony Marek; great grandchildren: Jade Pontinen, Emerald Johnson, Gavin, Sophia and Olivia Gerard; siblings: Jane (Dennis) Zinda, Catherine Ragels, Betty (LeRoy) Wasland, Darrel (Pam) Dunlavy, Tom Dunlavy, Bonnie (Fred) McDonald, Leo (Denise) Dunlavy, Jan (Sandie) Dunlavy and Kimberly (Kenny) Lewis; sisters-in-law and brothers-in-law: Rosie Peterson, Karen (Dabet) Ngandali and Donna (Gary) Hopkins; other relatives and friends. Preceded in death by her husband David Charles Peterson on January 16, 2007, her parents, brothers Dale and Bob Dunlavy, a sister Helen Ragels, Brothers-in-law and sister-in-law: Norm Ragels, LaVoy Ragels, Merlene Dunlavy, Mike Peterson and Dale Peterson and by her father-in-law and mother-in-law Burton & Lorna Peterson. A Memorial Service for Carol Peterson will be held on Wednesday, February 13, 2019 at 11:00 A.M. at The Evangelical Covenant Church in Buffalo. Pastor Reid Gilbert and Pastor Max Frazier will officiate. Spring inurnment at Swedish Mission Cemetery. A visitation will be held on Tuesday, February 12th from 5-8 P.M. at The Peterson Chapel in Buffalo. “The family would like to recognize her many nieces and nephews whom she loved as though they were her own. We will miss “the best” neighbor. Even tho we are out of the country, our thoughts are definitely with the family as you go thru this sudden, difficult time. May the Lords guidance and love guide you. My condolences to your family. My fondest memories of Carol include our Mystery quilting class. I will miss her smile.